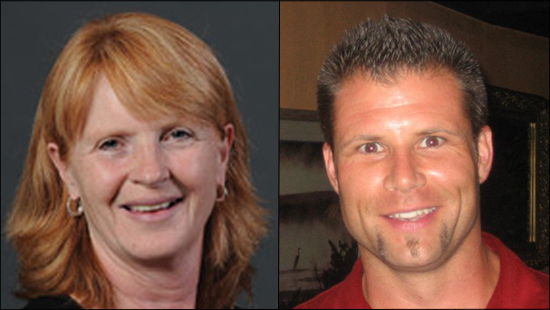 The Graduate College appointed two Faculty Fellows at the beginning of Spring 2013. They will be in the position until the end of Fall 2013. Each of them brings their own set of skills to the job, and each has unique responsibilities tied to their job description. Dr. Jon Adams, an associate professor in the Department of English, has the focus area in student and faculty engagement and success. He is working with Academic Affairs, college deans, graduate program directors and chairs and the Office of Faculty Development and the Office of Student Affairs. When asked what led him to apply for the position, he specified his excitement over the new direction Dean Susan Stapleton has been taking the Graduate College and her determination that the Graduate College be a part of every conversation. Dr. Adams is especially interested in the aspects of his position that include student and faculty engagement and success. His whole career has been informed by his wish to see students succeed and this position gives him a chance to be a part of that success individually and institutionally. Besides the engagement piece, it is a professional development opportunity as well. If he could narrow his position to one point, it would be student engagement. Studies show that student engagement is one major predictor of retention and the Graduate College is serious about not only recruitment but retention. Dr. Adams will work with the Graduate College Ambassadors, a group of twelve grad students from each college who represent Graduate College interests across the campus. He will also interact with the Graduate Student Advisory Committee (GSAC). This is a flourishing registered student organization that advocates for graduate education and graduate students. GSAC represents graduate students at Western Student Advisory council meetings and funds activities proposed by graduate student groups. During Spring 2013 and Summer I and II 2013 Dr. Adams will be working on an online orientation program for graduate students who cannot attend on-campus orientation. Students who are off-campus need training for teaching assistant and graduate assistant positions as much as on-campus students, and this online training can be expanded to offer supplemental orientation activities and alternative types of training. His work as a Graduate Faculty Fellow has taught him a great deal about Western’s history and current administrative and personnel climate. Talking with constituents from all over campus, including deans and associate deans as well as graduate students, has given him knowledge about the people who make Western happen. This helps him know how to help them in his function as faculty fellow. Dr. Adams studies representations of war and masculinity in American literature and culture. He teaches upper level, graduate and special topics classes in American Literature and upper-division and graduate courses in Literary Theory and the Novel. He received the WMU Distinguished Teaching Award in 2012 and serves on the Graduate Studies Council and as the Director of Graduate Studies in English. He received his Ph.D. from University of California-Riverside. Dr. Louann Bierlein Palmer is a professor in the Department of Educational Leadership, Research and Technology whose Faculty Fellow position includes a focus area on graduate admissions and enrollment. She will work with Academic Affairs, the University Student Enrollment Management Committee, Extended University Programs, admissions, college deans and the graduate program chairs, directors and academic units. She earned her Ed.D. in Educational Administration from Northern Arizona University. Dr. Bierlein Palmer teaches EDLD courses in the areas of School Community Relations and Cultural Competency, Policy Development and Analysis, and Leadership Theory. Her research interests include a broad array of K-12 and higher education reform and policy issues, and she often uses survey research and case study analyses. Prior to joining WMU, Dr. Bierlein Palmer served in various policy research and leadership roles, including the Governor’s Office in Louisiana, and state and university policy centers in Louisiana and Arizona. She is also considered a national expert on quality charter school laws and authorizing policies. Because her area of interest is in leadership and policy analysis and reform, she applied for this position to use this opportunity to become involved at the systems level at WMU. Most of her students are working professionals, so the faculty fellow position allows her to reengage in the practical leadership aspects of higher education. She is working on streamlining policies and procedures to stretch limited resources farther. One of Dr. Bierlein Palmer’s goals is to establish more regular communication with graduate advisors, especially on issues relating to admissions and recruitment. Currently she is also working on a merged version of the Graduate Catalog with the Graduate Advising Handbook to create a document which more accurately reflects the needs of advisors and other users. The new Graduate Catalog will be more user-friendly and up-to-date. She is also working with Graduate College staff and University Relations on creating a new Graduate College brochure to use for recruiting purposes. In addition to making changes to the interior of the current brochure, including the listings of programs to make it easier for recruiters to use, she is creating one page handout templates that each department or program can use to customize the information provided.